UPDATED: Here is it (11/16). 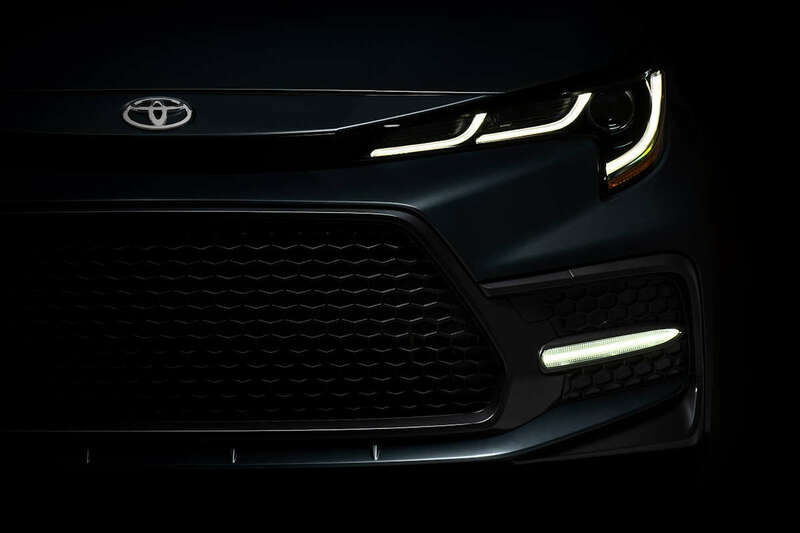 After showing off the Corolla in hatchback and wagon form, Toyota is set to complete its compact car trifecta with the global unveil of the all-new Corolla sedan. Set to make its debut simultaneously in at least two major markets—North America and China, the all-new Corolla is set for a 2019 release, just in time for the 2020 model year. The Corolla sedan is expected to ride n the new TNGA C platform which increases its torsional stiffness by up to 60 percent versus the current model. It will also have a much lower center gravity as well for better balance, composure, and feel. It will also likely carry the 2.0-liter Dynamic-Force 4-cylinder engine also found in the hatchback. Codenamed M20A-FKS, this engine features direct-injection technology, Dual VVT-i with Dual VVTi-E. Featuring a longer stroke and a 13:1 compression ratio, it’s said to weigh less than the previous 1.8-liter 4-cylinder engine but generates around 170 horsepower and 205 Nm of torque. Based on the single teaser photo that Toyota has released, the Corolla sedan is expected to take on a slightly different aesthetic compared to its hatchback sibling. While it shares the same familial look, the entire front-end looks unique to the sedan. It looks to have a vastly different grille treatment, a squarer-looking bumper, and daytime running lights which have been moved to the lower portion—where the fog light usually is. It must be said, it does share a striking resemblance to the Subaru WRX. The 2020 Toyota Corolla is set for a global unveil on November 16.